Kabul Sep 15 (IANS) Pakistan s Foreign Minister Shah Mehmood Qureshi on Saturday held a one-on-one meeting with Afghan President Ashraf Ghani in the Afghan capital where the region s security situation and bilateral relations were discussed. This was Qureshi s first foreign trip after assuming office. Upon arrival at the Presidential Palace the Pakistani Foreign Minister was received by his Afghan counterpart Salahuddin Rabbani Geo News reported. He was in Afghanistan for a day. 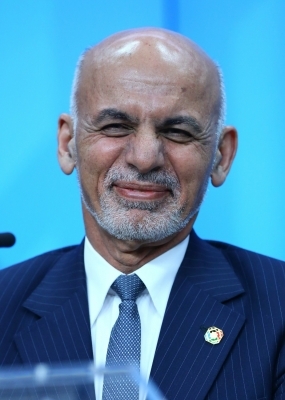 The Office of the Afghan President ARG Palace said in a statement that the two sides discussed security regional peace and stability joint fight against terrorism border management and other issues related to the Afghanistan Pakistan Action Plan for Peace and Solidarity Khaama Press reported. Qureshi separately met his Afghan counterpart Rabbani. The latter said that establishing peace was as important for Pakistan as for Afghanistan while the Pakistani minister said that the sides should cooperate in dealing with various challenges. "Our challenges are similar and we have to deal with them through mutual cooperation " Qureshi said. Pakistan s Information Minister Fawad Chaudhry earlier said that "the main purpose of the Foreign Minister s visit was to improve coordination on security-related issues between the two countries". Pakistan s Foreign Office spokesperson Mohammad Faisal said that Qureshi s maiden foreign visit after assuming office underlined the importance that the government attaches to work closely with Afghanistan for regional peace and stability.